Emma Elvira Mattson was born on 1 May 1908 in Lead, Lawrence County, South Dakota. Alexander Mattson and Emma Josefina Reini appeared in the US federal census of 15 April 1910 in 421 Park Avenue, Lawrence County, South Dakota. Other members of the household included Emma Elvira Mattson, Jalmer Mathius Mattson, Albert Alexander Mattson, Hubert John Mattson, George Mattson, Toivo Ralph Mattson and Walter Rudolph Mattson. Alexander Mattson appeared in the US federal census of 1 January 1920 in Lead, South Dakota. Other members of the household included Emma Elvira Mattson, Toivo Ralph Mattson, Walter Rudolph Mattson, Martha Marian Mattson and Mayme Margaret Mattson. The following appeared on 10 September 1928 in the Lead Daily Call: Miss Emma Mattson left for Detroit, Mich., last night to resume her duties at the Henry Ford hospital. She had been visiting relatives in Lead for the last month. 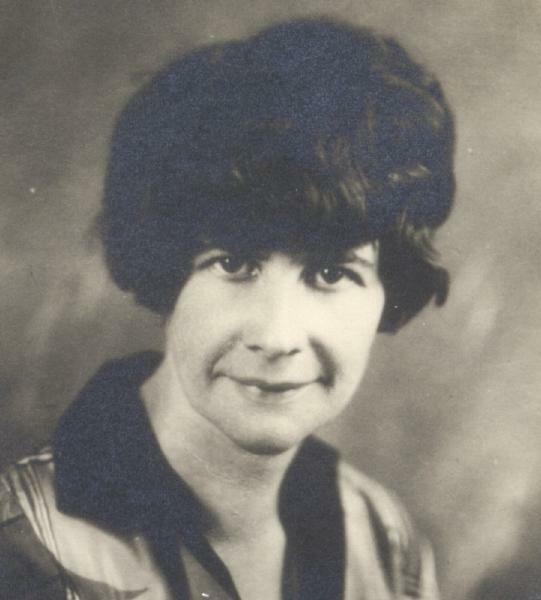 Emma Elvira Mattson appeared in the US federal census of 1 April 1930 in Detroit, Wayne County, Michigan, at Clara Ford Nurses' Home, 7410 Byron Avenue. Emma Josefina Reini appeared in the US federal census of 1 April 1930 in Lead, Lawrence County, South Dakota, at 7 East McClaren? Street. Other members of the household included Emma Elvira Mattson, Toivo Ralph Mattson, Walter Rudolph Mattson, Martha Marian Mattson and Mayme Margaret Mattson. She was a student nurse, according to 1930 census. The following appeared on 26 April 1934 in the Lead Daily Call: For several weeks Miss Emma Mattson, registered nurse, in the pay of the federal government, has been giving the school children a health examination. Miss Mattson has been conducting her examinations in both the public and the parochial schools. Children discovered by the nurse to need more thorough examination are to be examined this week by the doctors of the community, who annually volunteer their services for this work. . . .
She married Charles Ellis Davies, son of Daniel Davies and Anna Augusta Rosengren, on 30 October 1934 in Brookings, South Dakota, at the home of his brother Ross Davies. She was employed by Park Navajo Hospital, Holbrook, Navajo County, Arizona, on 2 July 1943 when she completed her Social Security application. Emma Elvira Mattson became a widow at the September 1982 death of her husband Charles Ellis Davies. Emma Elvira Mattson died on 13 January 1998 at age 89 in Roanoke, Virginia.